We have all wanted a DIY cleaner for our Garbage Disposals that can unclog garbage disposal in a flash. A couple of weeks ago we left fish scraps in our disposal and boy did we pay for it the next morning. 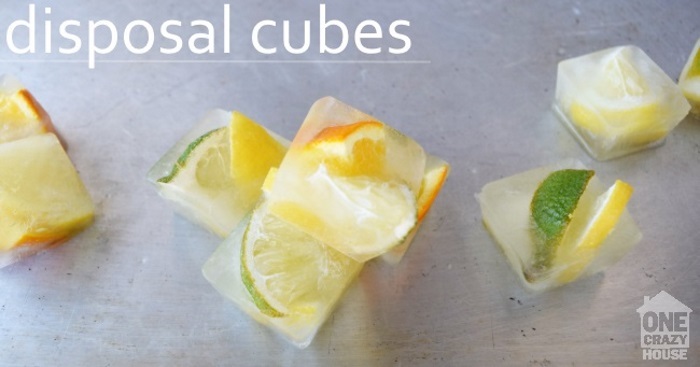 I was so thankful to have a stash of these cubes in the freezer just ready and waiting. 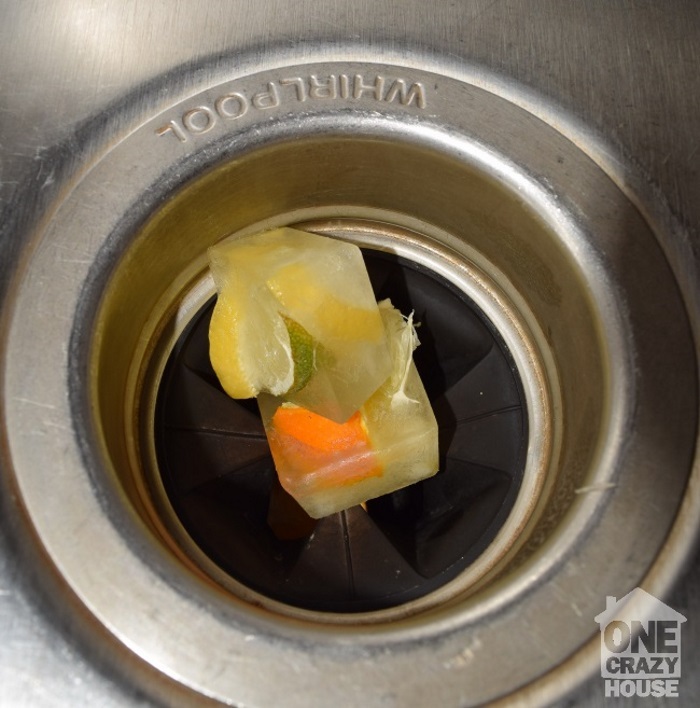 This unclog garbage disposal recipe is a great way to use leftover citrus fruit. Squeeze some fresh orange juice or lemonade and keep the rinds! 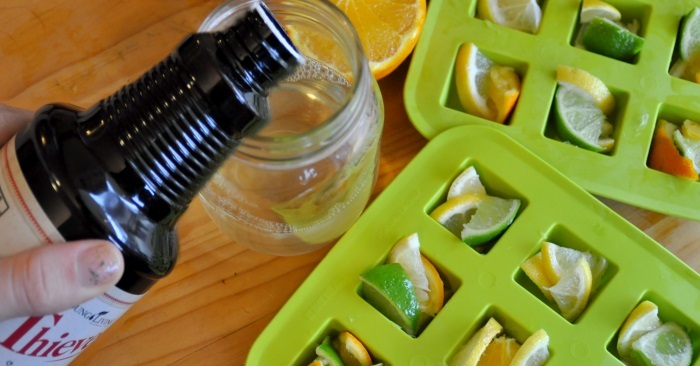 Chop the fruit into pieces and fill your ice cube tray with the bits. When the disposal chops them up the “roughage” of the rinds will help clean the blades. Combine the vinegar and the thieves cleaner together. It will have a sour smell but believe me – it will get rid of all the odors in your disposal. You won’t smell the vinegar later. 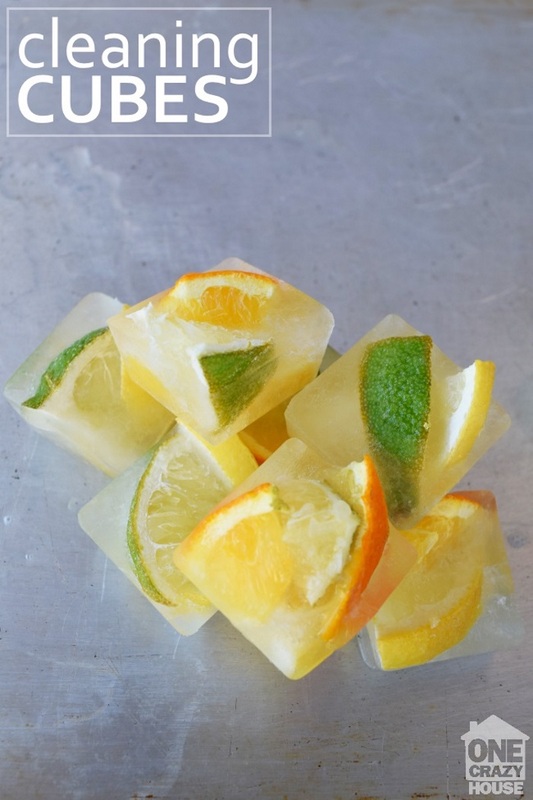 Pour the liquid over your fruit rinds and freeze the cubes. Pop the cubes out of your tray and store them in the freezer in a airtight bag/container. We mark our bag as “do not eat”, but I have been told that the thieves cleaner is safe – and of course fruit and vinegar are edible – so it is great to have an all-natural, chemical-free way to clean our home. My kitchen sink smells oh, so happy – and much less fishy – now!